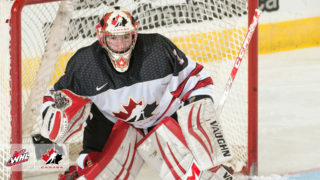 Canada finished pre-tournament play at the 2019 IIHF U18 World Championship with a perfect record Monday. 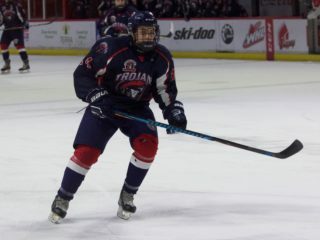 Captain Peyton Krebs (Okotoks, Alta./Winnipeg ICE) had a goal and an assist in Sunday’s victory. 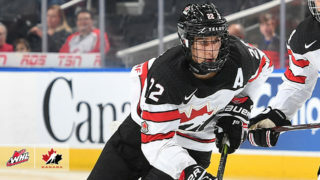 Alternate captain Dylan Cozens (Whitehorse, Yukon / Lethbridge Hurricanes) contributed three assists while defenceman Kaedan Korczak (Yorkton, Sask. / Kelowna Rockets) had a pair of helpers. Cozens’ third assist of the contest came on the team’s game-winning goal 45 seconds into overtime. 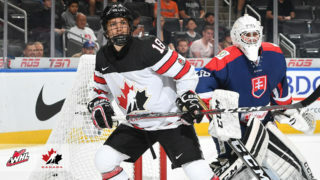 RECAP | @Dylan_Cozens and Dylan Holloway scored two goals apiece, and 🇨🇦 held off a third-period push to earn a 5-4 win over 🇷🇺 and finish an unbeaten pre-tournament schedule.